Obtaining prior authorization is an ongoing struggle for most radiology groups. The prior authorization process can be very time-consuming, often requiring many hours of constant follow-up by your staff, which takes away from patient care. From the time the order is placed and the actual exam, there are multiple risks for delays and denials. You can improve your patient access by enhancing and automating your prior authorization process. If you want to proactively address the issues around preauthorization that you’re undoubtedly going to run into, this article will serve as a guide in identifying challenges in the prior authorization process, rethinking your workflows, and zeroing in on a solution that will carry you forward efficiently and effectively into the future of healthcare. Many of these issues stem from radiology providers typically taking a passive-aggressive role in the prior authorization process. In the past, this was recommended, since medical imaging facilities shouldn’t step into the area of providing services where prior authorization is required, but hasn’t been obtained. 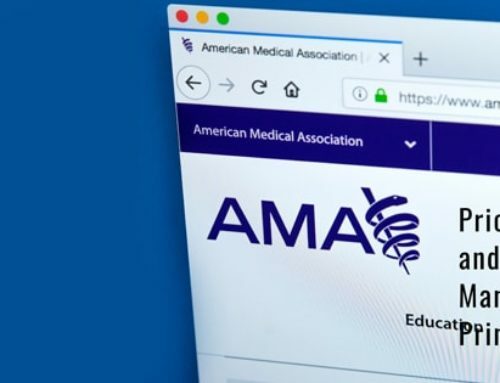 Unfortunately, that leaves providers like you at the mercy of the practices of referring physicians — physicians who often aren’t reliable and who, as the healthcare environment changes, will be even more prone to dropping the ball as the pre-authorization process itself becomes more complicated. This is why, radiology practices and groups will need to be more proactive, and will need to change their perspective on multiple fronts. One of the most important ways you can do this is by taking an active and strategic approach to workflows. If you haven’t established best practices in your workflows, now is the time. A little investment now will save you an incredible amount of headache in the future. To get you started, we’d like to share with you the workflow model we recommend with our Infinx Patient Access Software solution. It is a stage-oriented, comprehensive model that helps to ensure almost 100% approval rates, pushes you over a 99.5% accuracy rate, and drops your turnaround times to as low as 10 minutes. 1. Case Preparation: Cases are prepared by researching relevant codes, patient history, symptoms, and pre-requisites. 2. Address Payor Questions: Payor questions are answered to justify exam requirements. 3. Address Complex Cases: Difficult cases that require multi-layer questions are handled by obtaining additional information and documents that are either with you or the physicians. 4. Prior authorization: Prior authorization and important case details are obtained. A systematic approach like this one is not only key to understanding your prior authorization process, but also in determining training needs, identifying areas of revenue leakage, and creating preparation plans to react to state and federal regulatory changes in productive ways. Going electronic is inevitable and the entire healthcare industry is moving toward patient-centered care, and the radiology revenue cycle will have to follow suit. We know that you’re busy providing excellent service to your patients, and that’s what you do best. What we do best is process management for radiology providers, and prior authorization is one of our strongest competencies. We’ve brought all those competencies together with our Infinx Patient Access Software solution — designed to bring you 52% per-transaction cost savings over other, comparable solutions with similar features. For that cost, you receive benefits including STATs (within 20 minutes, same day appointments within 4 hours), 100% accuracy, and 100% adherence to a 24 hour TAT. We don’t want you to just take our word for it though. Request a demo today and learn of how the Infinx Patient Access Software solution can simplify your prior authorization workflow and increase cash flow in your radiology practice. Contact us at sales@infinx.com.